These books represent the latest in understanding how we think and how thinking affects how we act. Damasio, Antonio. Descartes’ Error: Emotion, REason, and the Human Brain. New York: Penguin Books, 1994. Print. Neuroscientist Damasio looks at how research shows that emotion and feelings are an integral part of how we reason. Descartes had it backwards, according to the author: We are, therefore we think. So reasoning is not cold and calculated after all. Goleman, Daniel. The Brain and Emotional Intelligence: New Insights. Northampton, MA: More Than Sound LLC, 2011. Print. Goleman’s book looks at the neuroscientific and practical aspects of emotional intelligence. Of special note are the sections concerning the nature of stress on creativity and the importance of understanding and addressing empathy. Also interesting is his writing on the social brain online and its implications for groups. Armed with an array of research, the authors look at the biases we bring to our decisions and present ways to look at data to come to conclusions. The straightforward writing bring points across easily. Meaningful summaries and clear examples help the reader to bring these understandings into the professional and personal life. Heath, Chip and Dan Heath. Made to Stick: Why Some Ideas Survive and Others Die. New York: Random House, 2007. Print. The Heath brothers look at what ideas stick with people and why they do so. It is a very effective book to learn how to design titles, blurbs, and descriptions that capture the essence of an idea. Helpful for curriculum designers, web designers, and teachers wishing to capture the imagination of their students. Hofs tadter, Douglas and Emmanuel Sander. Surfaces and Essences: Analogy as the Fuel and Fire of Thinking. New York: Basic Books, 2013. Print. The authors explore how we form categories in our minds and then use these categories to make analogies. Their thesis is that it is through the rich use of analogies that thinking is accomplished. The last chapter is a powerful example of Einstein doing exactly this to come up with his famous formula. Jacobs, Alan. 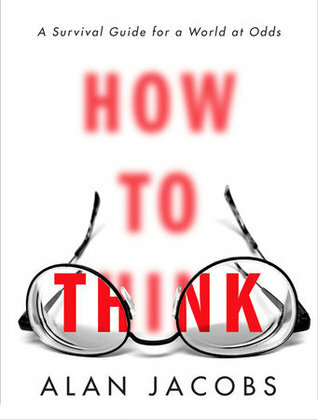 How to Think: A Survival Guide for a World at Odds. New York: Crown Publishing Group, 2017. Print. Jacobs delves into the “art” of thinking, eschewing systems of thinking. His recommends honing your opponent’s argument to make your own argument strong, and being careful that your thinking is relational, engaged, and honest. The author discusses systems of thinking (System 1, intuitive; System 2, deliberate), Econs and Humans (those who think logically and those who think intuitively), and the Experiencing Self and the Remembering Self. An excellent introduction to understanding the basis of critical thinking. Metaphor is how we exchange thoughts and ideas from person to person, our language, both verbal and non-verbal. The authors explore they types of written and spoken metaphors, categorizes them, and, most helpful to thinkers, shows how metaphors are systematic, culture-specific, and must be experienced by both the sender and receiver to be understood.